The team that plays together stays together. 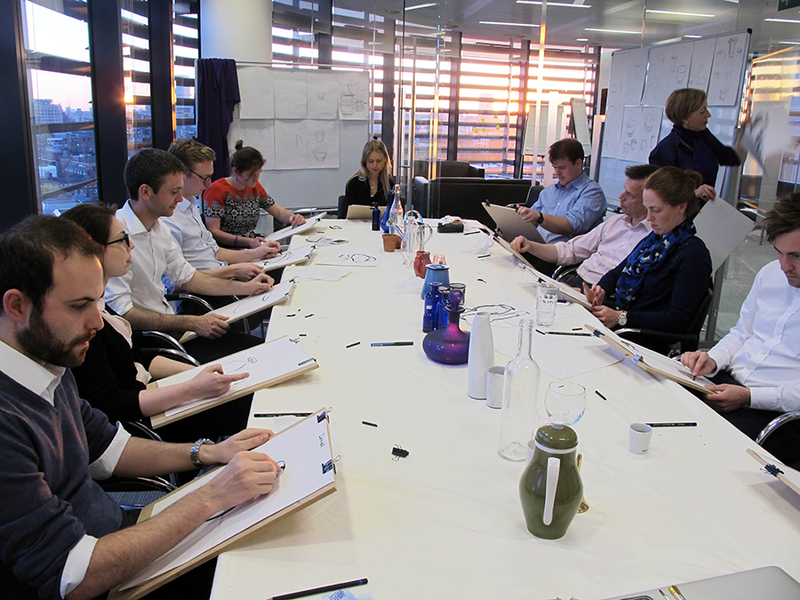 We take our unique Speed Drawing classes into advertising agencies, brand consultants, banks and law firms. 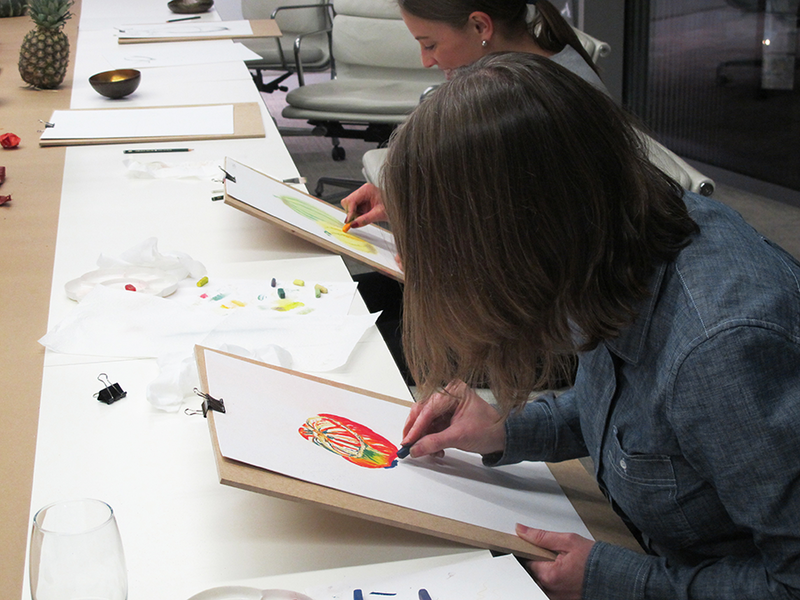 Getting away from the computer screen and taking part in a creative activity develops manual dexterity and a different part of the brain. This is a wonderful way of seeing your colleagues in a new light. Departmental and hierarchical barriers soon crumble when a stick of charcoal is put in their hands! Apart from getting the Accounts dept to talk to the Maintenance guys, learning to draw is a great skill to have when the AV system stalls. Please contact us about Beginners' Drawing, Life Drawing. Portrait Drawing and general Speed Drawing sessions. We can tailor classes to suit your company and we'll bring all the materials.